The Newberry Country Club's Pro Shop carries top brands, such as Callaway Golf and Titleist golf equipment. As for golf apparel, what better than wearing the clothing that top tour players wear such as Oakley, Puma, Nike, Callaway, and Adidas. We carry clothing for the entire family: men, women and children. 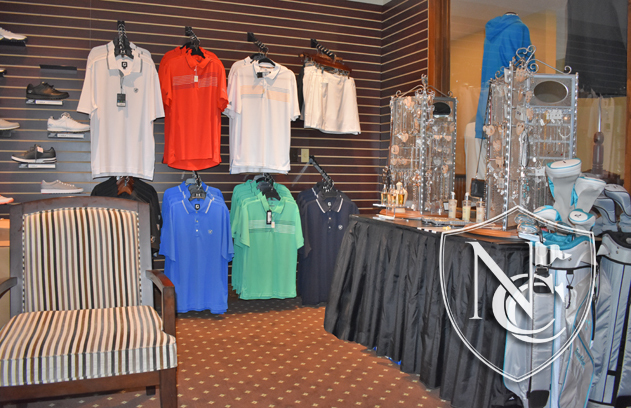 We invite you to gear up at our Upper Peninsula Pro Shop. Clubhouse Gift Cards are available to be used in the food and beverage outlets, as well as the Pro Shop. Lockers are also available for rent throughout the year to store your clubs, designed and manufactured locally by Bill Scheerer.